Eighty-five percent of cars produced by Kia Motors Mexico are exported, and about half of the exports are sold in the United States. The Mexican subsidiary of Kia Motors said last week that it would be well-positioned to export its compact vehicles even if the upcoming renegotiation of the North American Free Trade Agreement does not yield positive results. 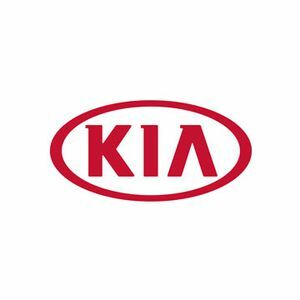 Horacio Chavez, managing director of Kia Motors Mexico, said he is not losing sleep over the possibility that Mexico, the United States and Canada could impose the maximum tariffs allowed by the World Trade Organization. Next week, the three countries will begin renegotiating the trade pact struck 23 years ago. "For finished products there would be an additional impact of 2.5 percent that, undoubtedly, would be reflected in a price increase," Chavez said. "But it seems to me a tax that is still manageable." For companies that manufacture pick-up trucks, which carry greater tariffs, it could be complicated to sell in the United States, said Chavez. After just two years in Mexico and one year of manufacturing, Kia had a market penetration of 5.6 percent at the end of July in Mexico, besting its goal of 5 percent market share by 2020. More than 865,000 new cars were sold in the market in the first seven months of the year. The company’s goal for 2017 is to produce 250,000 cars in Mexico, up 134 percent from the 107,000 vehicles manufactured in 2016, Chavez said. Kia Motors Mexico aims to export its Forte and Rio models to 65 countries by year's end, up from 35 currently. About 15 percent of the sales will go to Latin America, Chavez predicted. "We knew that Forte has good demand in the United States, but Rio is the vehicle that sells better in Latin America," he said. In May 2016, Kia began manufacturing in a plant in the industrial northern state of Nuevo Leon, with an investment of $3 billion dollars. The plant has a maximum capacity of 400,000 units per year, which the company expects to reach at the end of 2018. Kia Mexico had planned to manufacture cars from its sister brand Hyundai in Nuevo Leon starting in 2018. It got a head start last month, beginning to assemble the Accent model in the factory, Chavez said.